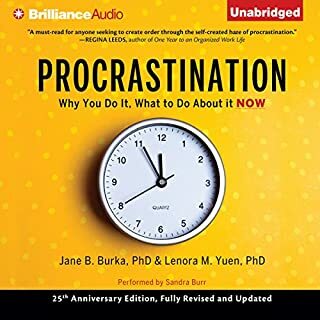 Based on their workshops and counseling experience, psychologists Jane B. Burka and Lenora M. Yuen offer a probing, sensitive, and at times humorous look at a problem that affects everyone: students and scientists, secretaries and executives, homemakers and salespeople. 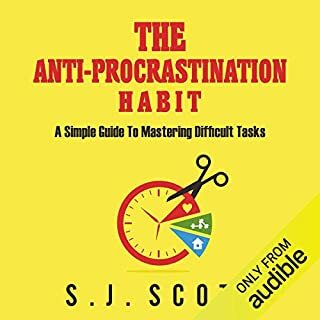 Procrastination identifies the reasons we put off tasks - fears of failure, success, control, separation, and attachment - and their roots in our childhood and adult experiences. Not as an audio book. 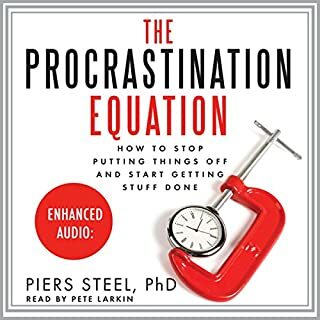 Using a mix of psychology, science, self-help, and a decade of groundbreaking research, Dr. Piers Steel, internationally recognized as the foremost authority on procrastination, explains why procrastination is dangerously on the rise and tells us how to overcome the destructive patterns that affect our health and happiness to create more positive lives. If you’re one of the thousands of people who wish they could start what they put their mind too, the answer is simple. You need to adjust your habits, put your focus where it counts. In this audiobook, I’ll show you how to do that. I’ll teach you to figure out which tasks are worthy of attention, and how to focus on actions that clearly move you forward. Why do we sabotage our own best intentions? 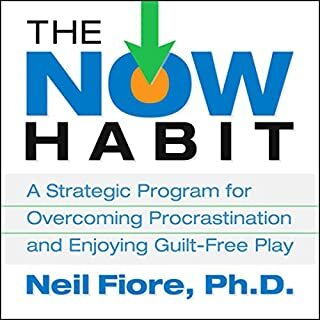 How can we eliminate procrastination from our lives for good? 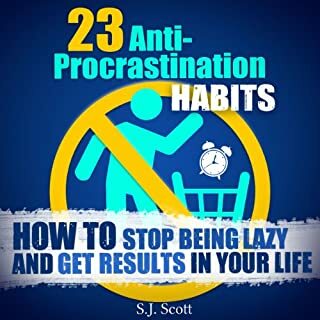 Based on current psychological research and supplemented with clear strategies for change, this concise guide will help listeners finally break free from self-destructive ideas and habits, and move into freedom and accomplishment. 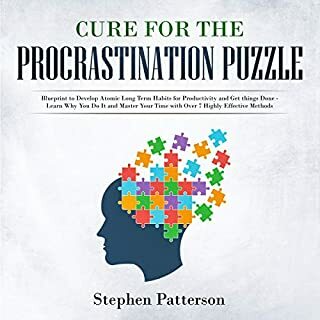 With numerous practical tips for change, Solving the Procrastination Puzzle brings clarity and scientific studies - and a touch of humor! - to the quest for successfully achieving goals. This accessible guide is perfect for entrepreneurs, parents, students, and anyone who wants to get unstuck, stop delaying, and start living their most inspired life. To me this was a frustrating listen. It took so long to get started and had great difficulty being able to get and stay on point. The book opens with an overly long thank you to everyone who helped him by name and academic institution. This was too much information for what is supposed to be a quick and helpful book. He then spends a great deal of time dancing around the overview and background of the book. The whole thing was a perfect example of a procrastinator at work! Some interesting insights, but to me, overall a distraction and a frustrating waste of time. I am not sure this could ever be a four or five star book. As another reviewer mentioned the credits to others at the beginning were torture to endure. It might work in academia but if the author really feels these are necessary they need to be at the back of the book. Would you ever listen to anything by Timothy A. Pychyl again? 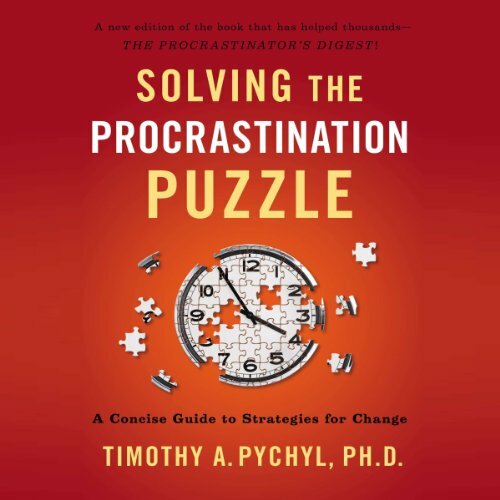 What character would you cut from Solving the Procrastination Puzzle? The book as a whole really didn't give me much actionable content. I am torn over giving a poor review, however when I purchased this book the reviews were much higher and I really felt betrayed spending my time and money on it. In part I purchased this book because the author had a Phd. Those credentials by themselves don't imply a book would be well written, however it should indicate a levels of diligence to insure the product is adequate. There might be some good advice in the book but after about 15 minutes of the author thanking everyone who ever helped him (possibly including the dog), I gave up on listening. This book is slow and dry. I felt like I was in college again. Another mandatory reading assignment that put you a sleep! Should use a professional reader/actor. Too many references to research. Overall, terribly boring. I would not recommend. This book is okay as a Daily Deal, but I'm not sure it's worth the time. As it turned out, I listened to it 'cause I wanted to avoid my daily writing task. I get the impression the author needed a few quick bucks when he wrote this so he "didn't procrastinate" in cranking it out.